And yesterday in 1991 wasn't bad either. UPDATE: Turns out today is also the 50-year anniversary of the Senators becoming the Twins. 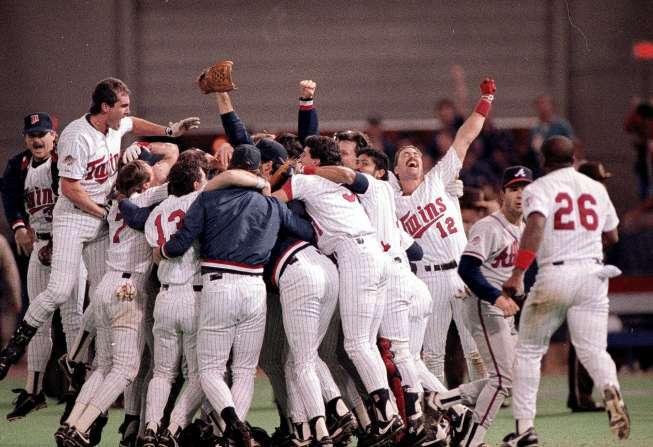 So yeah, October 27 is kind of a big date in Twins history. • You know what's even more "baller" than a Division II football player? A taser. • Remember the "boom goes the dynamite!" kid from a few years ago? Well, his name is Brian Collins and now he's a news reporter for the local ABC affiliate in Alexandria, Minnesota. • Esquire magazine named former Friday Night Lights star, current Parenthood guest star, and longtime Derek Jeter girlfriend Minka Kelly the "sexiest woman alive" for 2010. • Based on this study, I should be a billionaire. • Zooey Deschanel and Katy Perry are like a before-and-after comparison, but I'm not exactly sure for what. • My favorite headline of the week: "Why did Kanye West replace his bottom row of teeth with diamonds?" Even better, his answer: "I just thought that diamonds were cooler." Obviously. • One of the greatest and most underrated soul singers of all time, Solomon Burke, died last week at age 70. 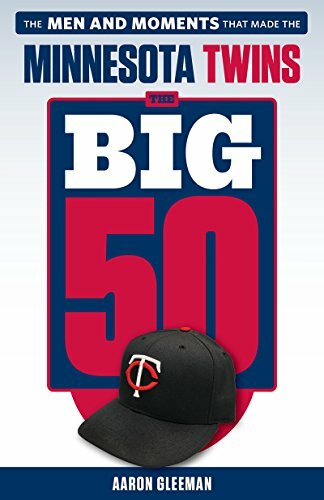 • This story is why the Target Field crowd is better off if I watch most Twins games from home. He looks eerily like a miniature Patton Oswalt. • Ozzie Guillen's impression of David Ortiz trying to bunt for a hit is pretty great. • When it comes to White Sox fans, sometimes the jokes write themselves. • There's no shortage of great Randy Moss pictures, but none can top this beauty. • Two weekends ago a phone call woke me Saturday morning and I was confused to hear a woman claiming to be "a reporter from the New York Post." Intrigued but still groggy, I checked my e-mail and found several messages from the same person offering $200 for "a freelancer to go out to a house in Eden Prairie and interview someone today." I'm not a reporter and barely leave my own house, so I replied with a simple "no thanks." It turns out, as David Brauer of MinnPost found by doing a bit more digging, the New York Post was looking for someone to basically go ring the doorbell at Brett Favre's house while he was in New York to play the Jets. Apparently their goal was to get his wife involved and turn that into a story, which is just about the grossest possible thing someone could pay you $200 to do on a Saturday morning. Perhaps that was covered in journalism school after I dropped out. • I'd be thrilled if marijuana saved the newspaper industry. • On a related note, that's a whole lot of pot. • Despite using exclusively laptops for a decade I've somehow managed to avoid "toasted leg syndrome." Clearly, like Robert Neville in a great book turned disappointing film, I am immune. • I just hope they had an open bar at the reception. • Jessica Alba is back on the Official Fantasy Girl of AG.com radar. • Speaking of Alba, this is a slippery slope that ends with a lot of disappointed perverts. After watching it I'm convinced Olajuwon a) would be an amazing coach, and b) could probably still give some team 10 solid minutes off the bench at age 47. • Roy Oswalt might be even better at photo-bombing than he is at pitching. • Mariano Rivera's unique greatness, as shown by heat maps. The snub came months after Heyman called Calcaterra at home to discuss criticism Calcaterra had made of Heyman. Calcaterra says the call "ended civilly enough" but then came the Twitter block, a move that "far more offended" him than the phone call. "It's just so passive aggressive," he says. Heyman confirms the block, saying that Calcaterra wrote numerous negative posts about him and he didn't want his tweets to provide further fodder. "I guess it's flattering, but I wasn't flattered," he says. Calcaterra says he's "moved on," but the incident made him question "odd interpersonal relationships" social networking sites encourage. • This is what many non-New Yorkers picture when they think of Yankees fans. • Now that I've got a floor plan, it's probably time to remodel the AG.com home office. • Professional poker player Nick Schulman was recently the subject on MTV's day-in-the-life style documentary show World of Jenks and my fellow degenerates will enjoy the episode. • Baseball America's scouting report on a 21-year-old Roy Halladay was right on the money. • Here's an interesting interview with one of my favorite podcasters, Marc Maron. - Giants embracing the power of Aubrey Huff's "rally thong"
• Last week Michael Cuddyer underwent knee surgery and now both Scott Baker and Nick Blackburn need elbow "clean ups." Blackburn missed just one start due to the injury, but told Joe Christensen of the Minneapolis Star Tribune that he's been pitching with discomfort "over the last couple years" and "just decided to get it taken care of now." Baker missed more time during the season and needed two cortisone shots, but both surgeries are considered minor. • Kelly Thesier of MLB.com writes that the Twins "will likely decline" their $5 million option on Nick Punto for 2011. Not paying $5 million for a 33-year-old utility man who hit .238/.313/.302 this season and .247/.321/.322 for his career would normally be a no-brainer, but the Twins paid him $4 million in each of the past two years and ... well, I just can't see Ron Gardenhire letting Punto leave without a fight. His deal includes a $500,000 buyout of the option. • Following the Twins' latest first-round playoff exit there's been lots of talk about needing to add a "true ace" to the rotation without anyone really defining exactly what "true ace" means. For many people it seemingly just means "a starter who pitches very well in the playoffs" even if that evaluation is made after the fact, but Bryan Smith of Fan Graphs crunched the numbers in an effort to determine exactly how each "spot" in the rotation performs across MLB. • Miguel Sano is without question one of the Twins' best prospects, but I'm not sure what to call him at this point. When the Twins signed him out of the Dominican Republic last season for a record $3.15 million bonus he went by Miguel Angel Sano. For most of this season he was generally referred to as simply Miguel Sano. And now John Manuel of Baseball America notes that the 17-year-old infielder "wants to go by his dad's surname and be called Miguel Jean." Old What's His Name batted .307/.379/.491 with seven homers, 24 total extra-base hits, and a 60/24 K/BB ratio in 61 games between two levels of rookie-ball in his professional debut. • Tyler Robertson's prospect stock has declined during the past few seasons, in part because he's struggled to stay healthy and in part because his strikeout rate deteriorated as he moved up the minor-league ladder. 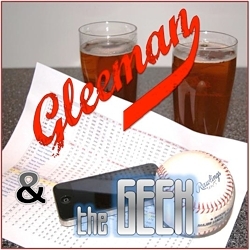 He ranked 16th on my list of the Twins' prospects this winter, but went 4-13 with a 5.41 ERA in 27 starts at Double-A and Baseball America correspondent Phil Miller reports that the 22-year-old left-hander has been moved to the bullpen full time. • Miller also wrote an interesting article about Max Kepler, the 17-year-old German outfielder who made his pro debut in the rookie-level Gulf Coast League and batted .286/.346/.343 in 37 games. Vice president for player personnel Mike Radcliff had all kinds of positive things to say about Kepler's first taste of pro ball and his numbers, while not jaw-dropping, are impressive for an extremely raw prospect who was one of the youngest players in the GCL. • After spending the past few seasons as one of the Twins' secondary FSN television analysts Tim Laudner has taken a minor-league coaching job with ... the White Sox. According to Mark Gonzales of the Chicago Tribune, after spending his entire nine-year career as a Twins catcher Laudner will focus on helping to develop the White Sox's catching prospects and could end up spending most of his time at Triple-A Charlotte. Before turning the page on a frustrating yet all-too-familiar end to the Twins' season, I want to say thank you to everyone who helped make my ninth season as a blogger such an enjoyable one. I started this blog in 2002 and enjoy doing it as much now as I did then. I'd understand if you were sick of me by now, which is why I'm so grateful that AG.com traffic was at an all-time high this season despite my posting frequency dropping from 4-5 per week to 3-4 per week. Whether you've been reading since 2002 or this is your first day here, thanks for stopping by. And thanks to all the media members and my fellow bloggers who helped send new readers to AG.com. After a little break to decompress I'll be diving head-first into offseason coverage that includes analysis of free agents and trade possibilities, my annual ranking of Twins prospects, and (hopefully) the continuation of my long-delayed series on the best players in team history. In other words, if you liked reading this blog for the past seven months you'll probably also like reading it for the next five months. If nothing else, hopefully it can help pass the time and fill the Twins void between Danny Valencia making the final out Saturday night and pitchers and catchers reporting to Fort Myers in the spring. And maybe the links to weird news stories and pictures of Mila Kunis every Friday will help somehow too. Anyway, thanks for a good season.